New York Lt. Gov. 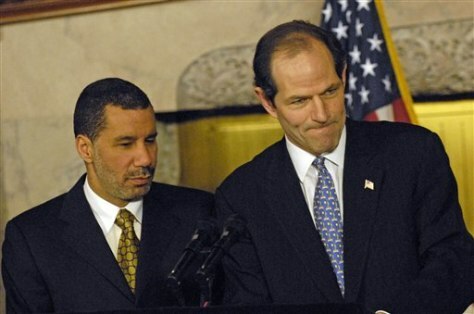 David Paterson, left, will succeed Gov. Eliot Spitzer, right, on Monday following Spitzer's resignation over the prostitution scandal.